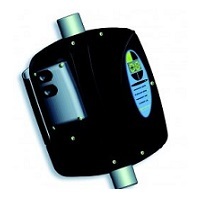 Water-through VFD (Variable Frequency Drive) for residential applications(in line type, cooled by water). It controls the start&stop of the electric pump, adjusts the motor speed according to the actual water demand and keeps the desired pressure constant. It assures high energy saving and important advantages in terms of comfort, performance and durability of the system.